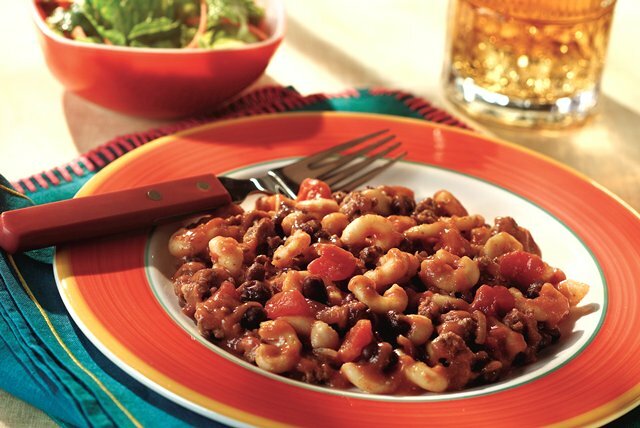 The traditional chili ingredients of ground beef and black beans meet up with pasta, chunky salsa and taco sauce in this zesty version of chili mac. Cook meat and garlic in 3-quart saucepan over medium heat 8 to 10 minutes or until meat is evenly browned; drain. Add remaining ingredients; mix well. Bring to a boil. Reduce heat to low. Cover; simmer 15 minutes, stirring occasionally.